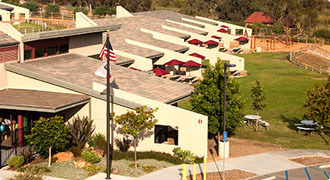 Encinitas Country Day School is a K-8 private school accredited by the Western Association of Schools and Colleges (WASC). 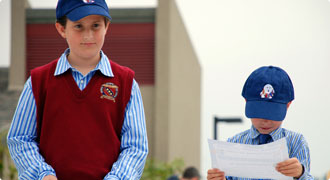 The Western Association of Schools and Colleges (WASC), is recognized as one of six regional associations that accredit public and private schools, colleges, and universities in the United States. Encinitas Country Day School curriculum content is aligned to California State Standards (now State Standards, State adopted Common Core Standards for Math and Language Arts, and Next Generation Science Standards NGSS) and enriched with ongoing hands-on learning experiences with Montessori instructional materials, academically challenging projects, visual and performing arts training, curriculum-based science and technology and opportunities for personal development. 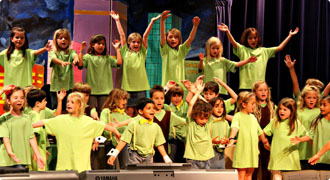 The school’s unique instructional methods are a hybrid combination of the traditional methods one would find in any school and the enrichment of hands-on or project-based learning. Montessori instructional methods and environments support student learning in the lower school and traditional instruction is enriched with experience through problem-based and project-based learning in the middle school. Encinitas Country Day School uses the authentic assessment methods built into the Montessori program as well as periodic formal and informal assessment of student progress in all subject areas. Student progress in reading is assessed using Renaissance Place, a computer-based tool of the STAR Reading program, to identify specific reading skills and place students appropriately. A similar placement tool helps teachers provide the right middle school mathematics instruction for each student. In addition to routine assessments throughout the school year, Encinitas Country Day School Lower, Middle and Upper School students take nationally normed, standardized tests annually to assure accountability and monitor student progress throughout the school.